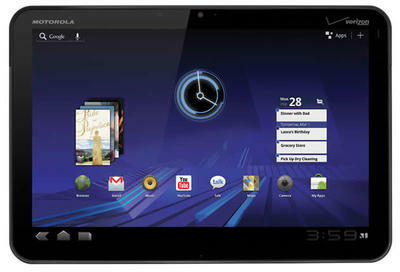 The Motorola Xoom was released on a tablet hungry market with a huge amount of fanfare and media hype. The first tablet packing NVIDIA's Tegra 2 processor and Android 3.0 Honeycomb made this, at least on paper, the tablet to lust for. Does the Xoom live up its promise? Let's find out. If you want the full rundown, hit the play button. Pros: Fantastic notification system, tabbed browsing that loads tabs in the background, interactive widgets, widescreen, true multitasking, pretty UI, build quality, DLNA, customizable, battery life. Cons: Poor launch application support, regular crashes while browsing, no Flash at launch, proprietary power cord, washed out display, expensive, hardware only 4G upgrade. I was expecting the coupling of Honeycomb, 1 gig of RAM, and NVIDIA's Tegra 2 to yield blistering performance. Perhaps I should have tempered my expectations, but it didn't feel much faster than a Galaxy Tab or any phone running a Snapdragon or Hummingbird processor. Maybe the software is not yet optimized, but I didn't really notice any significant speed boost over existing hardware in every day use…even while watching video. Motorola was smart to make the Xoom a true widescreen device. I loved watching video without the telltale black bars of a 4:3 screen. The 10.1″ 1280 X 800 screen did not pop, however, and subsequently images and video tended to look a bit washed out. This is tabbed browsing done right. The UI is fantastic, tabs can be loaded in the background, and text is very readable on the display (even if not overly crisp). The browser was the area of Xoom where I experienced the most frequent crashes, though, to the tune of about one per day. Flash content is not supported at launch, but that's an issue more in Adobe's camp than Motorola or Google's. The moral here, though, is that browsing is what you would expect from a modern tablet. It works well, renders full HTML content, and will get better over time with software updates. If you are looking to buy the Xoom, and are worried about its browsing prowess, don't be: it's extremely capable. This is where the Xoom shows it's the new kid on the block. Developer support for tablet-optimized applications at launch has been extremely poor. Don't interpret this as developer apathy or disinterest. Rather, Google just didn't release the requisite SDK until January, too close to the Xoom's launch for extensive support. This shortcoming will no doubt be rectified very quickly. While developers are coding, you will be left to use applications intended for use on older 2.X devices, which leads to UI scaling and potential crashes (The Bloomberg app for example crashes almost 50% of the time on our device). Build quality is outstanding. The Xoom feels solid in the hand, sturdy, and substantial without being heavy. Motorola did a very impressive job. Battery life is good. You can easily get through three days of heavy use with 3G turned off. Keeping 3G on shaved about a day off of battery life, overall. Camera UI is very nice, and photo quality is on par with other 5 and 2 megapixel (front and back) shooters. The Xoom, and Android 3.0 as a whole, have tremendous potential and translates to an above average user experience. However, its frequent crashes and meager native app offerings at launch make it tough to recommend, at least right now. If you are in the market for a highly customizable Android tablet, you might best wait until Motorola and Verizon start shipping 4G-compatible Xooms a few months from now (current 3G devices will have to be shipped back to Motorola for the 4G upgrade) and Google has released a software patch to improve overall performance and stability. There is no shortage of fantastic Android tablets on the horizon, and if you're not in a rush, you'd be wise to wait and cross shop. 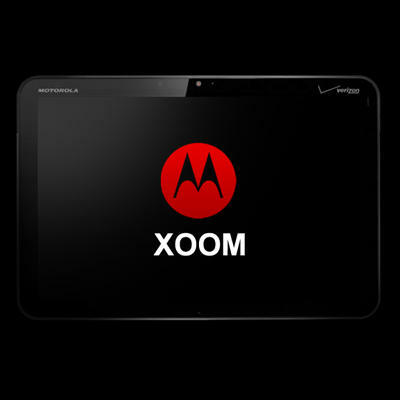 What do you think of the Xoom? Did it steal your heart? Do you disagree? Are you waiting? We want to hear what the tablet loving herd has to say! Sound off in the comments.